ValleyFest, Spokane Valley's annual celebration of family fun, is this Friday, Saturday and Sunday, September 25-27, at Mirabeau Point Park and CenterPlace Regional Event Center. There's a parade Friday night, entertainment, food, beer and wine, over 200 vendors, kids activities, hot air balloons and more throughout the weekend. Go to valleyfest.org for all the details. This Friday, September 25 from 5 to 8 pm, the Spokane Arena opens its doors free to the public for the 20th Anniversary Open House. Featuring tours, a chance to throw a football around on the Spokane Shock field, major prize giveaways, birthday cake, a look backstage and in the Chiefs locker room, and more. Go to spokanearena.com for more information. Pop, country artist Nicole Lewis joins the Spokane Jazz Orchestra this Saturday, September 26 night at 7:30 at the Bing. Ticketswest has your seats at www.ticketswest.com or 800-325-SEAT. 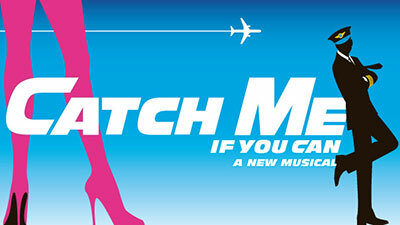 'Catch me if you Can', a high flying musical comedy, is on the main stage at Spokane civic theatre now through October 18. Go to spokanecivictheatre.com for tickets and information. Next Wednesday, September 30, our Northwest Museum of Arts & Culture in Browne's Addition, opens a new show by the Spokane Watercolor Society. This juried show will be on display through October 28. The Local Artists Show continues October 29 - December 31. A Reception will be held on First Friday October 2. There will be 66 watercolor paintings by members of the local society, as well as by watercolor artists from all over the country. For more information and museum hours and admission, visit www.northwestmuseum.org. A spectacular event is coming to Spokane starting this Saturday, September 26 and running through November 1. 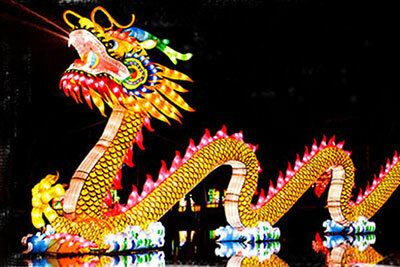 The Washington State Chinese Lantern Festival will be in Riverfront Park for a 5-week celebration of Chinese culture featuring massive lantern displays, amazing performances, and incredible food. Kids activities will be ongoing and during the event. Hours are Sunday through Thursday, 5-10pm; Friday and Saturday evenings from 5-11pm; and Saturday and Sunday daytime hours from 11am-4pm. Tickets and more information available at www.spokanelanternfestival.com. Don't miss seeing the Riders of the Rockin' B Cowboy Supper Shows this Friday & Saturday, September 25 & 26 starting at 5:30. This year's show features great entertainment by the Riders of the Rockin' B and one of the best barbeque dinners ever! Next month, the two remaining performances for the season are Friday & Saturday, October 9 & 10. The Spokane Home Builders Association 11th Annual Fall Festival of Homes begins weekend, Friday through Sunday, September 25-27 and next weekend, October 2-4. Hours are 10 am to 5 pm daily. The event is the largest new home construction showcase in the Inland Northwest featuring 31 homes from 19 of Spokane's finest builders. More information on the show can be found at www.SpokaneFestivalofHomes.com. Maps and an event guide will also be included in a special insert in today's issues of The Spokesman-Review. Oktoberfest at the River, an authentic German event in partnership with the German American Society is back at the Spokane Convention Center after an over 30 year break. Festivities including 32 hours of live entertainment, authentic German beer and food, Root beer garden & ice cream area, Wiener dog races, and games begin Friday at noon (free admission until 3) through midnight, Saturday 11 am to midnight and Sunday 11 am to 6 pm with half price The Spokesman Review family day. Adult admission is $10 with children 12 or younger free. Each night at 7 pm the event turns into adult only as the music and entertainment kick it up a notch. For all the details go to www.OktoberfestattheRiver.com. 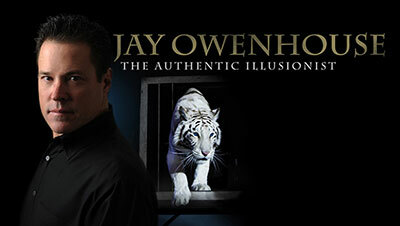 Jay Owenhouse,The Authentic Illusionist, is performing this Friday, September 25 at the INB Performing Arts Center. Come see America's Favorite Illusionist in the award winning show 'Dare to Believe!' It will be an evening you will never forget! Tickets start at $29.50. Get yours today through Ticketswest, www.ticketswest.com or 800-325-SEAT. On Saturday, September 26, East Sprague Avenue will host the district's 5th Annual Art on the Ave event featuring over 40 artists and musicians, 10 business hosts so much more. Artists will be hosted by businesses between Napa and Madelia Streets this between 12 and 6 pm. Live music until 9 pm. Indoor and outdoor exhibits will be open between 12 and 6 pm with live music continuing in Bennidito's parking lot located at 1909 E. Sprague Avenue (corner of E. Sprague Avenue and Magnolia). In celebration of East Sprague Art Gallery's one-year anniversary, the gallery is excited to present artist Sam White's painting 'Everyone's Talking' in addition to the 30 local artists displayed in the gallery. Side street closures between 1700 and 1900 blocks of East Sprague Avenue are expected to make this event even more family and pedestrian friendly. 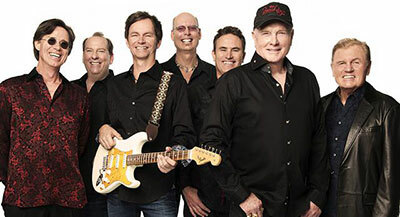 The Beach Boys will pull into town to perform at Martin Woldson Theater at The Fox in Spokane, Wednesday, September 30, presented by the Knitting Factory. As The Beach Boys mark more than a half century of making music, the group continues to ride the crest of a wave unequalled in America's musical history. They have sold over 100 million records worldwide and have received more than 33 RIAA Platinum and Gold record awards. The Rock And Roll Hall of Famers were also honored at the 2001 Grammy Awards with the Lifetime Achievement Award. This Saturday, September 26 from 10 am to 5 pm, enjoy 3 Studios and 28 Artists at the Little Spokane River Artist Studio Tour. As you drive or walk to the studios participating in this tour, you will have the added benefit of strolling the fields, gardens and streams that are so much a part of this wonderful region. This is a delightful art show, not to be missed. Admission is free. No dogs allowed. Free parking. Light refreshments for sale. Get a downloadable driving map at littlespokanestudios.com. This Friday, September 25 through October 12, The Modern Theater Spokane presents 'Other Desert Cities' sponsored by Spokane7. This play by Tony nominee and Pulitzer finalist Jon Robin Baitz, is hailed as one of the most enjoyable plays for grown-ups. For more information, show times and tickets go to themoderntheatre.org. 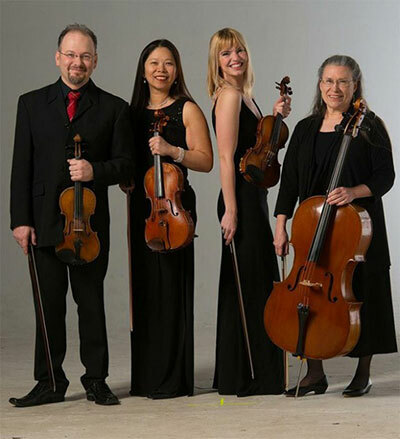 The Spokane String Quartet featuring Mateusz Wolski, first violin, Amanda Howard-Phillips, second violin, Jeannette Wee-Yang, viola and Helen Byrne, cello, opens their 37th Season this Sunday, September 27, 3pm at Martin Woldson Theatre at the Fox. Tickets for General Admission seating are $20 for adults, $16 for seniors, and $12 for students and $10 for groups. Contact Ticketswest at www.ticketswest.com or 800-325-SEAT. The Brickwall Photographic Gallery is featuring Julie Gautier-Downes for October's Visual Arts Tour. The gallery will be open until 8:30pm Friday, October 2. Julie trekked through California's Mohave Desert searching for the narrative within her images provided by such a desolate location. Her pieces provide a unique opportunity to experience what a place is like after the lives that resided there are gone. 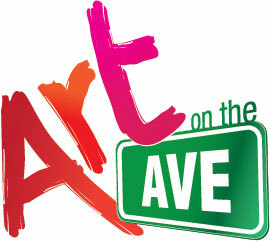 The gallery is located at 530 W. Main on the skywalk just east of Macy's in the Bennett Block. Get more information at 509-928-7721 as well as online thebrickwallgallery.com.